← How to Build a Passive DWDM Network? Usually, wire connections based on the network cable have faster speed yet lower latency than Wi-Fi connections. And owing to the advanced technology, modern Ethernet cables are able to communicate at even faster speeds. To cabling for your home, office or business, you may come across these questions: with so many types of network cables, which is the best ethernet cable for me? Is it a Cat5, Cat5e, Cat6 or Cat6a, shielded or unshielded, UTP or STP? Thus, we are supposed to answer these frequently asked questions in this article. Based on different specifications, Ethernet cables are standardized into sequentially numbered categories (“cat”) like Cat4, Cat5, Cat6 and etc. Each cable with a higher number is a newer standard, and these cables are backward compatible. Sometimes, the category can be further divided by clarification or testing standards, such as Cat5e and Cat6a. By understanding what these Cat5, Cat5e, Cat6, Cat6a cables are, it will be much easier to figure out which one is the best ethernet cable. Cat5 or Category 5 cable serves as an older type of Ethernet network cable. It is designed to support theoretical speeds of 10 Mbps and 100 Mbps. Cat5 cable is capable of operating at gigabit speeds as well, especially when the cable is shorter, however, this cannot be ensured. Currently, Cat5 cable is rarely seen in the store, but there are still some applied in older routers, switches, or other networking devices. What Is A Cat5e Cable? 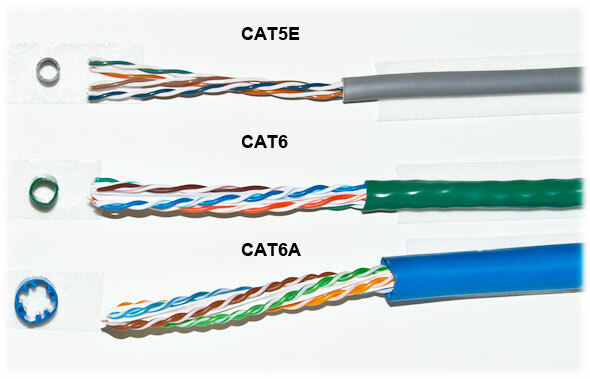 Cat5e (Category 5 Enhanced) cable is known as an improved version of Cat5. 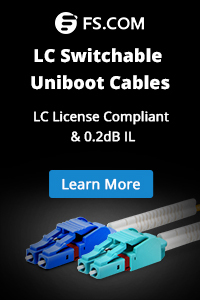 With the enhanced signal carrying capacity, it is faster than Cat5 cable. Cat5e patch cable is made to support Ethernet, Fast Ethernet, and Gigabit Ethernet speeds over short distances. And it is backward compatible with Cat5. Meanwhile, Cat5e decreases the chance of crosstalk, the interference you sometimes inevitable to get between wires. Cat5e internet cable also features improved durability because of improvements in the quality of the PVC protective jacket. 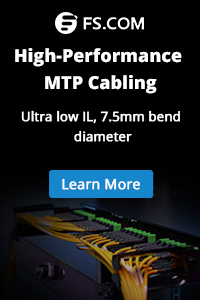 It is more than suitable for most data cabling requirements. What Is A Cat6 Cable? Cat6 or Category 6 cable is the next step up from Cat5e. And it was specifically designed to consistently deliver at Gigabit Ethernet. When it comes to interference, best Cat6 cable has even stricter specifications. Since the improvement of interference makes no big difference with the regular usage, there is no need to rush out for Cat6 upgrade. However, when you propose to buy a new cable, you could try Cat6, an improvement over the former types. What Is A Cat6a Cable? Cat6a patch cable is designed for 10 Gigabit speed and is backward compatible with all the existing standards. Besides, it can be used in industries utilizing high-performance computing platforms to support very high bandwidth-intensive applications. Server farms, storage area networks, data centers, and riser backbones are common 10G/Cat6a applications. Through the revolution of Ethernet cables, we know that each newer standard brings about higher speed and much-reduced crosstalk. But how to distinguish those categories from each other and when to use unshielded, shielded, stranded, or solid cable? The following three factors are necessary to consider before buying the best ethernet cable. All Ethernet cables are twisted. Thus the shielding is used to further protect the cable from interference. Network cable typically comes in two basic types: STP (Shielded Twisted Pair) and UTP (Unshielded Twisted Pair). UTP cable is comprised of four pairs of twisted pairs of copper wire. The twisted pairs are insulated with carefully chosen material for high bandwidth, low attenuation, and crosstalk. UTP can easily be used for cables connecting your computer with the wall. It is also the most common type used in desktop communications applications. As for STP cable, cable pairs (not individual wires) are shielded by a metallic substance. Then all four pairs are wrapped in another metallic protector. This is done for the purpose of preventing interference via three techniques: shielding, cancellation and wire twisting. The problem is that STP is harder to install. You will use STP for areas with high interference and running cables outdoors or inside walls. The most common kind of network cable is PVC. 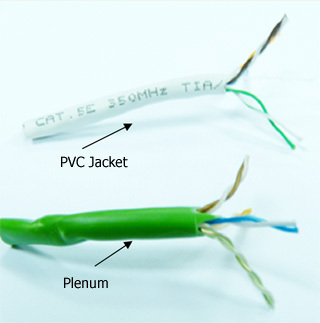 PVC is usually used as the covering for patch cables, and often for bulk cables. The problem is that PVC covered cable will release toxic smoke when burning. In this case, most local fire codes prohibit PVC covered cable from air handling spaces. But it is accepted to use PVC cable for wall installations. Considering the safe side, you should check your local fire codes. Plenum rated cable has a covering that burns without toxic smoke. In construction, plenum refers to the separate space for air circulation, heating, and venting. In a standard commercial building, the plenum is the space between the drop ceiling and the structural ceiling. While in residential installations, the plenum could be used in a few places such as the floor when air circulation is used. By solid and stranded Ethernet cables, it means the actual copper conductor in the pairs. The differences lie in that solid cable. It uses a single piece of copper for the electrical conductor, while the stranded uses a series of copper cables twisted together. There are two main applications for each type you should clear about. 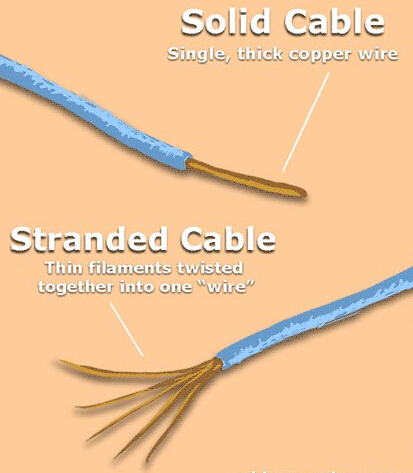 Stranded cable is more flexible, which should be used at your desk, or anywhere you may move the cable around often. It is much better for patch cables where flexibility matters. Solid cable is not only flexible but also durable, which makes it an ideal option for permanent installations as well as for walls and ceilings. With solid core cable, termination will be easier and more reliable. Besides, it has good attenuation properties thus easier to send a signal over. As such, solid core is the best for long runs. Have You Known How to Choose the Best Ethernet Cable For Your Need Now? As the network core and backbone, network cables influence overall communication and efficiency. Best Cat5e cable can be used for most home and office applications. Cat6 and Cat6a are used to establish a large network such as high-speed servers and data centers. However, your final decision is based on your need and network demand. Before making a decision, please remember to take the above factors into consideration. Do you know how to choose the best Ethernet cable now? This entry was posted in Copper Network and tagged cat5, cat5e, cat6, cat6a, Standard vs. Solid cable, UTP vs. STP cable. Bookmark the permalink.